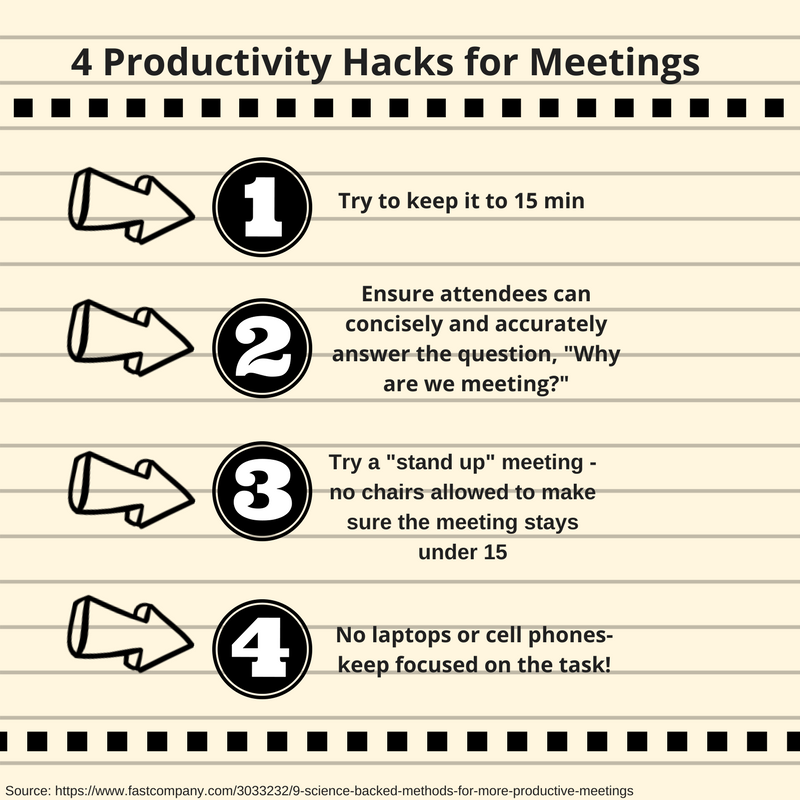 Could your Monday Morning Meeting use some productivity hacks? Productivity hacks can help steer your workplace meetings in the right direction. We have four office hacks today! Monday morning meetings can be a great way to start off the week. Especially when it comes to discussing workplace happiness and morale. A productive meeting can be a way to get a read on the temperature of the office. They allow staff to check in with each other, offer help or ask for help where needed and to let others know on the status of projects. Though, if you’re anything like me, Monday morning meetings can be rough. You’re tired, probably running 5-10 minutes behind (ok, maybe 15) and you’ve haven’t had the chance to grab your much-needed morning cup of coffee. Then comes the meeting that inevitably runs way longer than anticipated, going off track and before you know it, you’re discussing the holiday advertising plans an hour later. And you still haven’t grabbed a coffee. 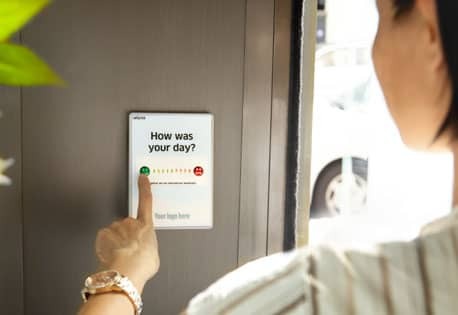 These productivity hacks can help your entire team, department or company not only have greener button meetings but also green button days. Thus increasing productivity in the office. As many of our users tell us, getting work done and being productive makes for happy team members! Hey there! I’m Alex, marketing specialist at Celpax and I love helping to create workplaces people love. 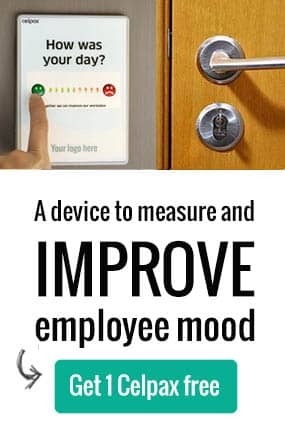 We’re a for-profit helping workplaces improve employee morale with simple tech tools. Got suggestions for meeting productivity tools? Be sure to follow Celpax on Twitter, ‘Like’ us on Facebook or follow us on LinkedIn.